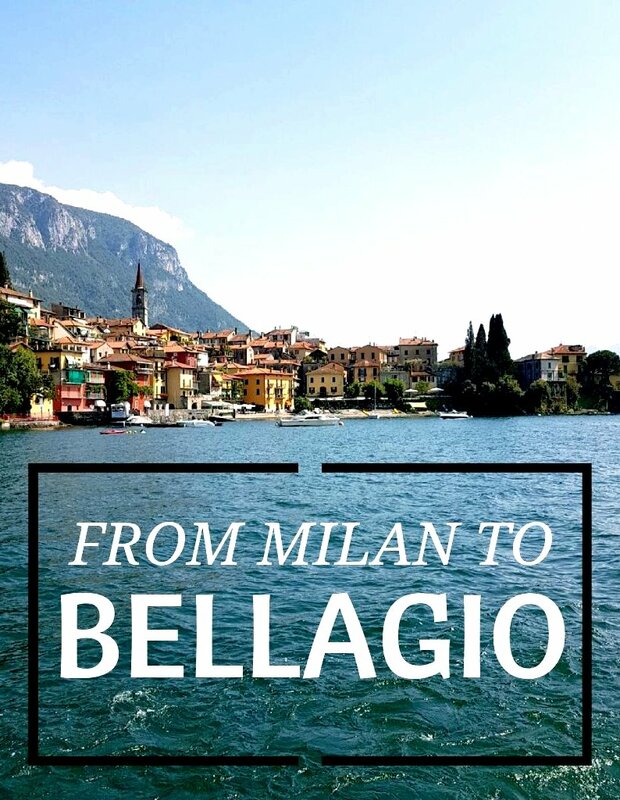 Situated only one hour away from Milan, Bellagio is the perfect escape from the capital. Fares estimated at around €12 for a return, it’s also a bargain. Best website to check for dates and fares is trainline.eu. 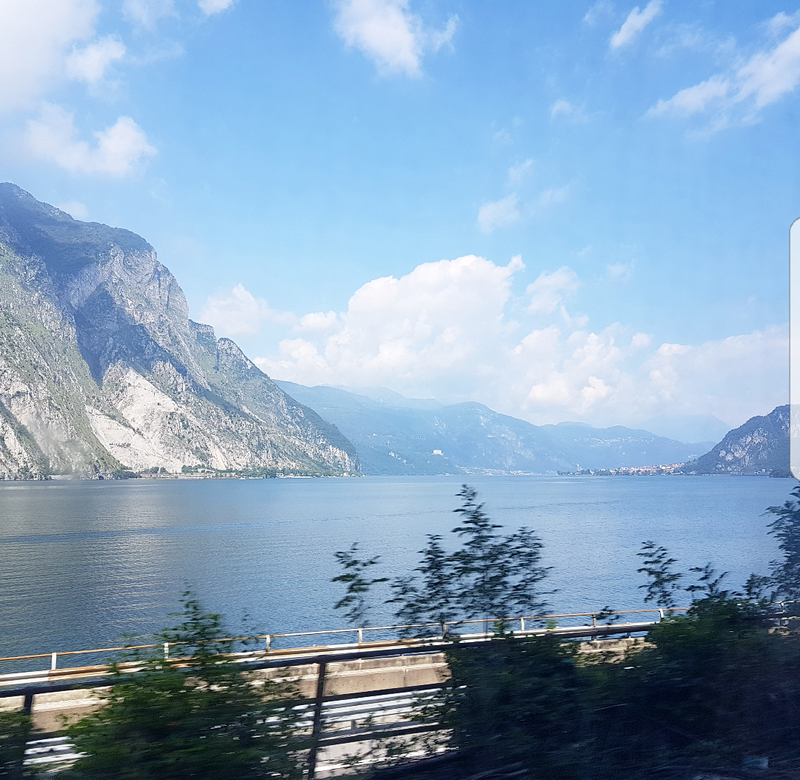 Take the picturesque train journey from Milano Centrale to Varenna Esino. 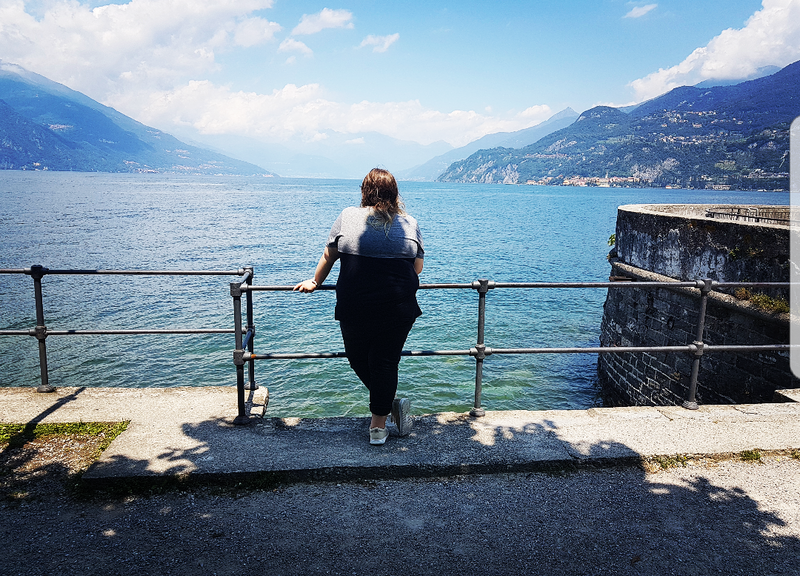 From the moment you step off the train you will be in awe of just how beautiful Varenna is. Mountainous landscapes, colourful terraces and views of the lake bring an instant sense of tranquillity. Take a five minute stroll down hill into the village, that also leads you down to the ferry port. 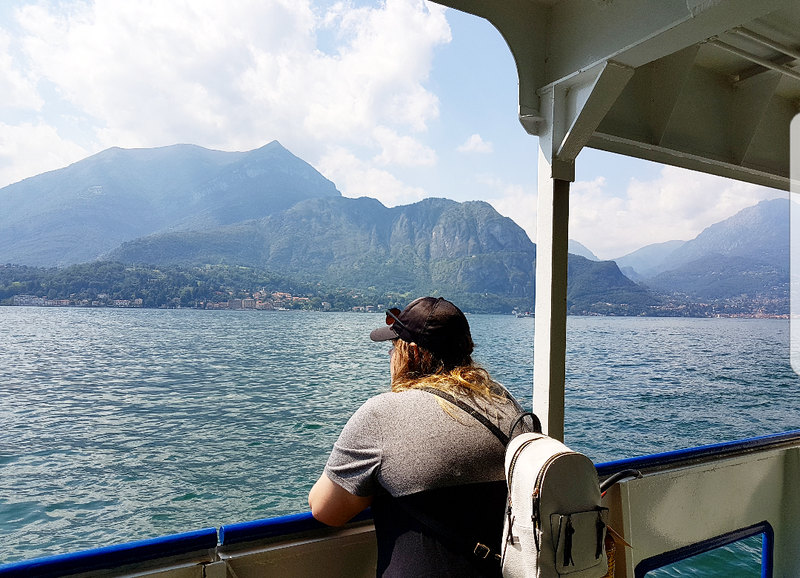 Before taking the ferry across the lake to Bellagio, explore Varenna. 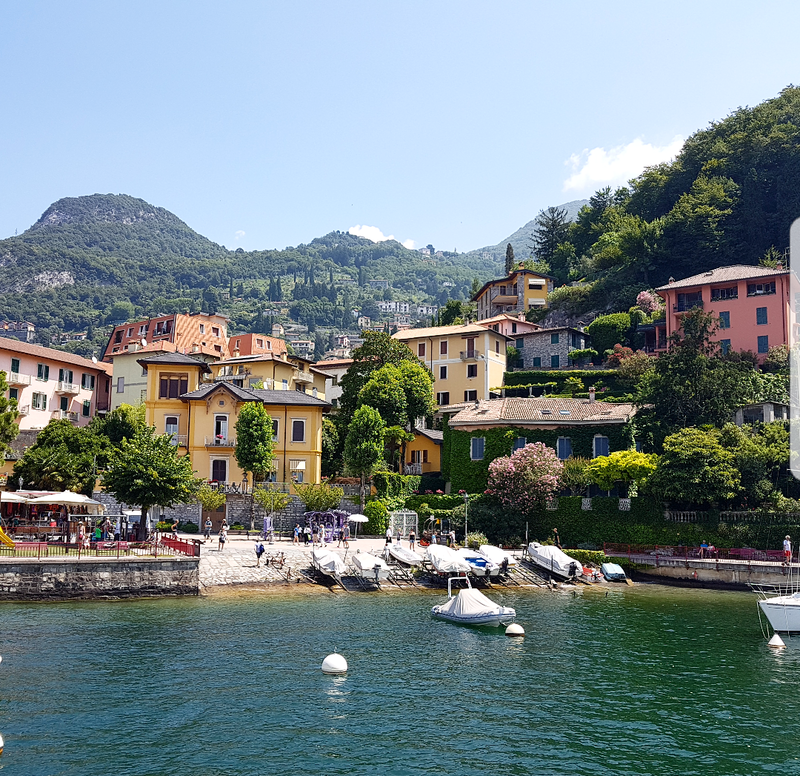 Sitting on the eastern side of Lake Como, in Varenna there are more locals than tourists. Visit the beautiful gardens at Villa Monastero or take a hike up hill to the Castello di Venzio. For the ferry across to Bellagio it costs around €5 each way or €15 for a day pass. If you are visiting several places on the lake I would opt for the day pass. A 15 minute journey on the ferry with scenic views of the Swiss alps leads you to the ‘Pearl of the lake’ Bellagio. If you’re an escapist like me, Bellagio is my idea of heaven. There’s no real destination as you wander through the endless narrow cobblestoned alleys. Sometimes I crave the feeling of being lost, in an unfamiliar place. 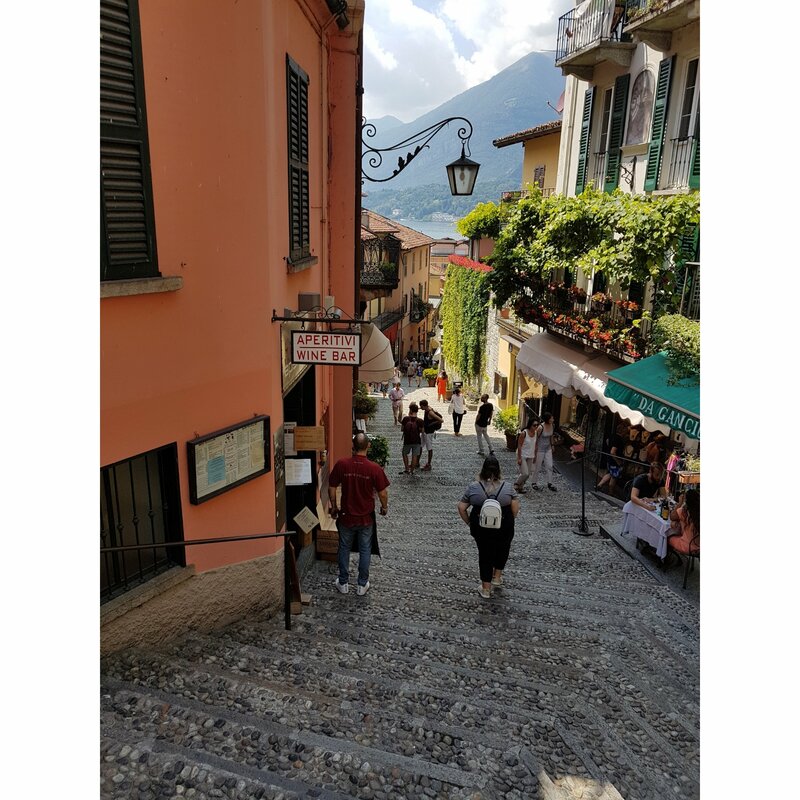 Trust me in Bellagio you will get lost but at every corner you will still get a glimpse of the lake. Cafes, restaurants and bars on every corner there is always somewhere to stop for an Italian coffee or glass of Pinot Grigio. 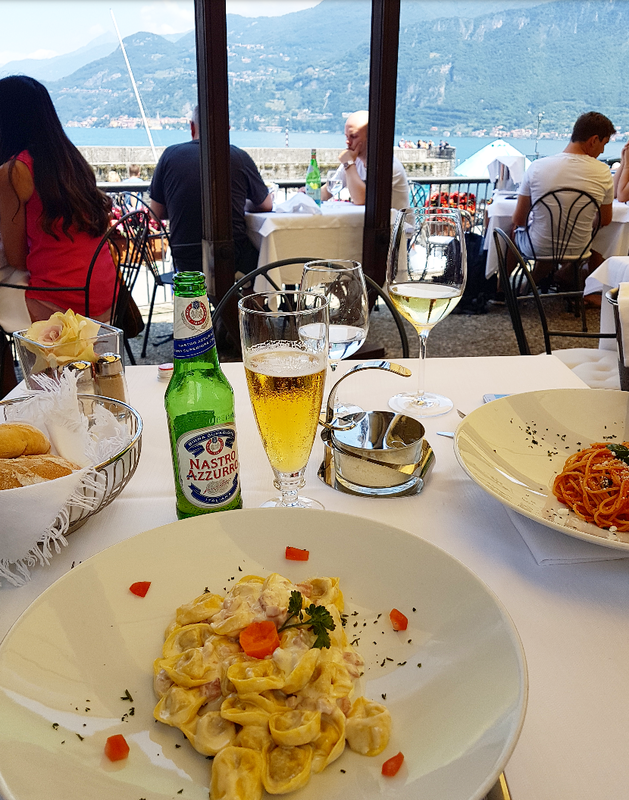 Over-looking Lake-Como is Ristorante La Punta. If your into fine dining this is your place. Serving exquisite pasta dishes and the finest Italian wine, the prices are steep. It’s a lovely place but very posh! 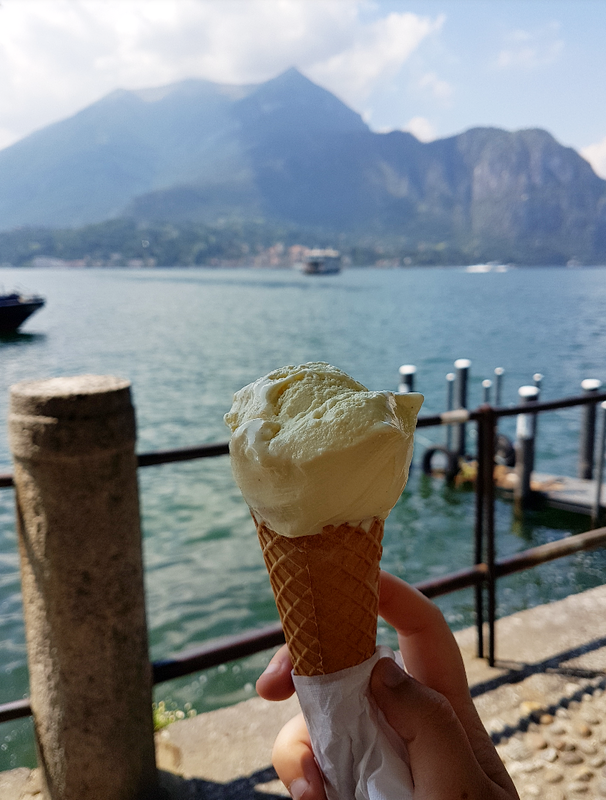 Finish your trip to Bellagio with a gelato and appreciate your surroundings whilst looking over to the Swiss alps.